Alexander had a bad day. He had a very bad day. In fact it was terrible. Horrible! Young children will be able to relate to all the typical mishaps and daily troubles. It provides a good chance to explore emotions and daily routines vocabulary. This story is more suitable for children aged 5 and up. See reviews and purchase options here or watch the videos below. This story connects very well to the topic of emotions. Listen and sing along to these songs and learn emotion and feelings language. 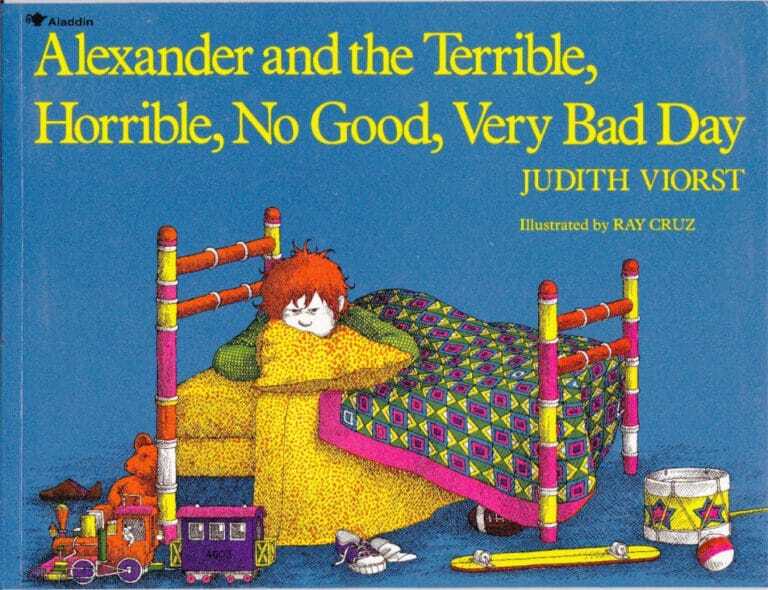 Alexander and his bad day will make the children want to talk about their typical days. It would be a nice opportunity to focus on daily routine language. The children can talk about their normal days and then talk about very good days and of course – very bad ones!